Amazon Amazon Suspension. General discussions on Amazon, suspensions, suspended, blocked, banned and more. Amazon Forum. Apologies. This is a long-ish read. I created a small-scale publishing business selling cookbooks, which is a very lucrative market on Amazon. I also created a blog and Facebook marketing to promote them. 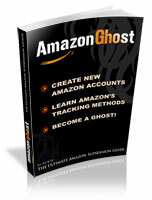 I was earning around $3,000 every month with Createspace. Since the KDP-Createspace merger, I scaled up my publishing business and earned around $11,000 in January 2019 with KDP Print. However, my KDP account has been closed and my books unpublished. Amazon have not commented on the matter. I have sent a series of emails to KDP asking for more information. They have yet to respond. Now, my assumption is that they closed my account because I was earning too much money. As silly as this sounds, I believe that they have limits and checks in place to flag accounts like mine, as a kind of risk assessment. This is done at their content-investigation department. Total unpaid royalties since January 2019 amounts to around $18,000. This amount represents thousands of sales from around 10 books and Christmas sales too. I can no longer access my KDP dashboard to confirm this amount, but thankfully I have downloaded Excel spreadsheets confirming every single book sale since January, before my account was closed. I also have a screen shot of my royalty balance from around mid-February, confirming around $10,000 in royalties at that time. Now, I believe the KDP accounts department have flagged this payment to the content-investigation department, who decided that I was too high risk and closed my account. I also live in the UK, so it is very easy for Amazon to abuse my rights because I am not based in the US and subject to US law. However, if I do not receive a response from Amazon, I would consider taking them to court. I know other KDP authors have been successful in the small claims' courts, but because $18,000 exceeds the small claims court limit in the UK (of £5,000), I would have to take them to a higher court, which may involve significant financial costs. There are some lessons to learn from this. - Yes, KDP Print is a great option for self-publishers, but, from my experience, it is controlled by a kind of socialism that says, Yes you can earn royalties, but don't earn too much, or we will take the money off you and kick you out. This was also my experience at Createspace, who would often deduct royalties due to a delay in price updates, which was just their way of saying that 'You're earning too much'. - My books were very successful, selling around 50-100 copies every day. Amazon didn't like this because they often discounted my books, from say $17.99 to $8.99, increasing sales. This discount was done, I assume automatically by their algorithms, and often resulted in a loss to them. My argument here is that they should not have discounted my books so significantly, and for such long periods of time, often months. I believe, therefore, there are emotional damages to be claimed here due to being misguided into a 'false sense of security'. There systems are flawed. - Perhaps I was using KDP for purposes it was not intended for. Given how lucrative the cookbook market is, maybe my business was too 'big' for their self-publishing scene, who earn under $1,000 per month. They only found out about this when a human reviewed my royalty balance to process payments. Ultimately, I have been screwed over by Amazon, the company that also doesn't pay its fair share of taxes. I await Amazon's reply. But I know, based on prior experiences, that it has to do with earning too much royalties on the back off significant price discounts. Well, they were the ones who initiated these discounts. Not me. Therefore, I believe I do have a legal case here. I look forward to any replies. Last edited by User233; 03-15-2019 at 02:01 PM. The complete step-by-step guide to get back to selling today! Unfortunately I personally don't have any experience with book publishing in UK. But the basics of amazon is that if they shut you down, you'll get your funds in 90 days.